Lydia Gibson, the daughter of architect Robert W. Gibson, was born in 1891. As a young woman she took part in the campaign for women's suffrage. A talented illustrator, her work appeared in several left-wing publications. 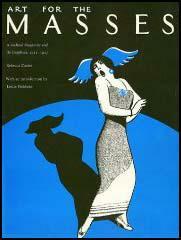 In 1912 Max Eastman was invited to become editor of the left-wing magazine, The Masses. Organized like a co-operative, artists and writers who contributed to the journal shared in its management. Gibson began providing illustrations for the journal. 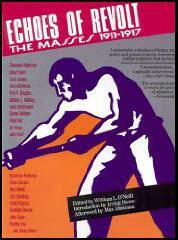 Other radical writers and artists who joined the team included Floyd Dell, John Reed, William Walling, Crystal Eastman, Sherwood Anderson, Carl Sandburg, Upton Sinclair, Amy Lowell, Louise Bryant, John Sloan, Art Young, Boardman Robinson, Robert Minor, K. R. Chamberlain, Stuart Davis, Lydia Gibson, George Bellows and Maurice Becker. During this period Robert Minor fell in love with Gibson. However, she rejected his advances of the older man because at the time he was living with another woman. Gibson, like most of the people working for The Masses, believed that the First World War had been caused by the imperialist competitive system and that the USA should remain neutral. This was reflected in the fact that the articles and cartoons that appeared in journal attacked the behaviour of both sides in the conflict. After the USA declared war on the Central Powers in 1917, The Masses came under government pressure to change its policy. When it refused to do this, the journal lost its mailing privileges. In July, 1917, it was claimed by the authorities that cartoons by Art Young, Boardman Robinson and H. J. Glintenkamp and articles by Eastman and Floyd Dell had violated the Espionage Act. Under this act it was an offence to publish material that undermined the war effort. The legal action that followed forced the journal to cease publication. In 1918 Max Eastman joined with Art Young, Floyd Dell and his sister, Crystal Eastman, to establish another radical journal, The Liberator. Other writers and artists involved in the magazine included Gibson, Claude McKay, Boardman Robinson, Robert Minor, Stuart Davis, Maurice Becker, Helen Keller, Cornelia Barns, and William Gropper. In 1920 Robert Minor began living with Mary Heaton Vorse, a talented journalist who had worked with him on The Masses. She suffered a miscarriage in 1922 and soon afterwards Minor left her and set home with Lydia Gibson. The couple got married in 1923. Gibson, like Minor, was a member of the American Communist Party. Lydia Gibson died in 1964.